This has been as stunning 24 hours in world politics. The British, against nearly all the predictions, have voted to leave the European Union. There has never been a national referendum in any country where so many outsiders, foreign power brokers, and financial market manipulators have intruded. Accompanying that was “expert after expert” telling us that Doomsday for the British was soon to come if they voted to leave. Now the thing about these economists is that they think they are experts when many of them are neo-liberal twits. There are experts in the medical profession and there are experts flying aeroplanes, but if economists were involved in either medicine or aviation half the country would be sick and aircraft would be crashing daily. Once again, in the British context, they got it entirely wrong. Having ignored the mass majority of the British people for decades they have woken up to a serious drop in the stock market and in the value of the pound sterling. As an aside, if they were experts they would have factored this in before the vote – but they’re not and they didn’t. However, that won’t stop them or the commentariat boring the British people witless with what they don’t know. For New Zealand it is a tremendous window of opportunity. We can get a trade deal with the UK. We can’t get a decent trade deal with the EU, and whilst the UK was in the EU we were denied access to them. If our government had known what it was doing they would have been talking to the British about this a long time ago. They don’t and they haven’t. Prime Minister Cameron made a giant blunder in his approach to the referendum. And typically his “good friend” Prime Minister Key made a similar blunder when he said the British should stay. Whoever we send to negotiate the free trade deal with the UK should not be John Key. The stunning thing was that the biggest loser yesterday was the British Labour Party – so out of touch with ordinary workers. That may well describe comments from a Green Party leader in New Zealand who as good as said working men and women have got it wrong. That is the elitism of the Left – it is as bad as the Right. Anyone watching the BBC yesterday saw all these people giving their views and no one went to the working people and asked for their commentary, but suit after suit was talking about working people’s situation. The power class are so up themselves they can’t even see the obvious irony of what they are doing. And that phenomena exists in NZ as well. And speaking about not listening to the people, Rotorua and its environs is a good example. The government went into their hoopla mode when they announced recently they would provide $12 million funding over four years for local councils to deal with huge tourism numbers and their impact on infrastructure. The only ones not joining in the hoopla were the councils who will have to queue to scrap for that $12 million. And there is a list of councils. Rotorua is just one of them and last summer you had massive pressure on your toilets, rubbish collection facilities, boat ramps and carparks. Other tourist towns are facing the same problems with several needing urgent upgrades of their wastewater networks. And freedom campers are creating extra issues. This $12 million will only be enough to pay for between seven and 15 toilet blocks nationwide – way short of what will be required for local infrastructure. What the government don’t tell you is that last year they received $929 million from GST on international visitor spending which Professor Simmons, Lincoln University Professor of Tourism, estimated ended up being a $630 million surplus once costs were deducted. That’s a lot of money, some of which could be a great help for places like Rotorua. To give you some idea of the money that is needed, Tourism Industry Aotearoa called on government to provide $100 million to support local councils to deal with the influx of tourism – $12 million is a long way short of $100 million. The government needs to break its mentality of “all take and too little give” for local councils. Travel around New Zealand and in all our major ports you will see piles of logs massed on wharves waiting to be exported out of the country. Not just piles of logs are going out of the country. Piles of opportunities are going as well. Instead of adding value by processing these logs and creating jobs for the NZ economy, the National government looks the other way and lets it happen. All the added value goes in the pockets of overseas nations. Currently around 40% of the timber exported goes out as logs. 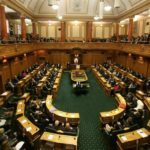 In Parliament earlier this year, in response to a question from your local NZ First MP, Fletcher Tabuteau, Associate Minister for Primary Industries Jo Goodhew boasted that the share of total harvest processed domestically was 51.2 percent in 2015. New Zealand First is realistic; we know a proportion of the timber harvested will be exported as logs but are we supposed to be impressed that nearly 50% of the total harvest is not processed domestically? With our much touted dairy industry taking a king hit, there are very few economic sectors that offer the potential or opportunity that forestry and wood products do. That is why NZ First supports the vision of the Wood Council to raise the earnings of the New Zealand forest and wood products sector to $12 billion by 2022. The problem is the government has no coherent strategy for the forestry sector. They do not, as other countries do, protect and promote their forestry/wood products industry. Why not? They ignore the lead of other countries, such as Canada, which requires that before the export of logs a log supply in the interests of local processors and workers must first be safeguarded. And at affordable local prices. Under National the wealth of our forestry is being handed over to other nations who can easily undercut local sawmills because some of them can hire 18 workers for every one New Zealand worker. In 2004 there were 666 sawmilling and timber dressing businesses in New Zealand. By last year the number had dropped to 450. In 2003 there were 10,200 employed in the industry; by last year the number had declined to 6650. Those jobs and opportunities are leaving New Zealand with our unprocessed logs. One of the saddest statistics around today is that the rate of young New Zealanders not in work, education or training is now at its highest since 2013. Recent statistics show the number of unemployed 15-19 year olds increased by 8,400 or 12.1%. The NEET rate – those youth not in education, employment or training – is now over 12.4%, its highest level for more than three years. New Zealand now has over 70,000 young people without jobs and not in education or training. These are the cold hard facts behind all the spin you get from Mr Key and his government. Too many young New Zealanders are missing out – and they are continuing to miss out as overseas students with work visas beat them to jobs – usually jobs that are a starting point. The number of young men out of work and with no education or training is the worst result since records began. This is a ticking time bomb that will hurt this country in future years. Programmes are urgently needed to successfully target those vulnerable 70,000. We are going to incentivise private businesses to provide young people with work and we’ll subsidise the employers’ wage bill. But it will only for those who get on the Good Employers’ Register. We are going to start public schemes, beginning with tree planting and cleaning up our environment, our rivers and ours streams. And one programme we will start with is New Zealand First’s Youth and Employment Training and Education Programme. As a nation we cannot just sit idly by and let so many of our young people end up on the scrapheap. Councils have to employ private companies to undertake patrols while also paying millions of dollars for CCTV security cameras trying to keep their streets safe. Eighteen councils are seeking support from Local Government New Zealand to lobby the government for better policing resources – real proof that our police men and women are seriously under-resourced. In the Budget Finance Minister Bill English claimed crime had dropped by 16 per cent. New Zealand First is certain this will come as a surprise to many people, including police on the frontline. Mr English forgot to mention police are now issuing warnings and cautions which mean fewer offenders are being charged. Official statistics obtained by New Zealand First show the percentage of incidents police have attended that end in arrests have dropped from 16.5 per cent in 2007 to 13.15 per cent in 2015. From 2008 the total number of incidents police have attended has risen from 420,000 to 525,000 in 2015, or up 105,000 or more than 20%. Of those incidents, the number of arrests made during this same period has dropped from 72,000 to 69,000 in 2015. Incidents up 105,000, arrests down 3000. It looks good for the minister to trot out that hackneyed line “crime is down,” when everyone knows, police included, it isn’t. We have a huge P problem in New Zealand and police say it goes hand in hand with organised crime. Recently, Northland police, helped by a good citizen, managed to prevent over 500 kilograms of P from reaching the market. This was a great result – but it was a one-off. 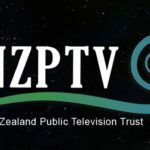 Police say only considerable investment in disruption of organised crime in New Zealand will curtail or help to reduce the prevalence of P and other destructive drugs. This is not happening under National. Police say also that it has to be combined with investment in drug treatment facilities and education to also help reduce demand. This isn’t happening under National either. The P problem is growing; it’s not getting better. Two months ago your local newspaper (Rotorua Daily Post, April 11, 2016) reported Methamphetamine is being detected in an increasing proportion of failed workplace drug tests in Rotorua. The Drug Detection Agency (TDDA) figures show the proportion of Rotorua people testing positive was up in both the forestry and transport industries. That is a worrying trend. Under National, unfortunately, P and the problems that come with it, will only get worse. New Zealand First’s policy is to reinforce the police frontline and we have a proven record. Between 2005 and 2008 we brought in an extra 1000 frontline police, plus 235 back office staff. The Prime Minister was in a real lather this year about how wonderful the TPPA would be for New Zealand. Like some sort of magician he was plucking figures out of the air and said the deal would be worth $5 billion by 2025. Nine years from now. The Prime Minister was talking total bovine scatology. He can’t even find a looney tune Right-winger to backup that figure. Now, all of a sudden he has gone quiet. This week presumptive Democratic presidential nominee Hillary Clinton said the United States should reject the Trans-Pacific Partnership Agreement (TPPA) and renegotiate any trade agreements that were not beneficial to the American people. 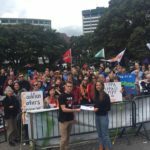 The presidential race and opposition to the TPPA show how spurious and wasteful the process has been and demonstrates how pigheadedly the Prime Minister and others have continued to mislead New Zealanders. There have been warnings for months that the promises behind the deal were totally illusory but Clinton’s latest statement cannot be ignored by the cheerleaders of globalism. The other runner for the White House Donald Trump is opposed to the TPPA also. Regardless of who wins the White House, the US is now almost certain not to support the TPPA – it won’t happen. Ladies and gentlemen, it has been a good year or so for New Zealand First – Northland by-election, keeping our flag, the TPPA and Brexit.